The name says it all. Micro Tom Tomatoes are only 6-8 inches tall! They make great indoor plants for the windowsill or patio pots for limited spaces. 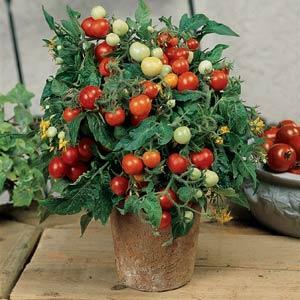 This cherry tomato produces fruit that weigh about one ounce and have a sweet flavor. Outstanding Features: Developed at the University of Florida.